The Friends of the Davison Art Center at Wesleyan University helps expand and promote the Davison Art Center collection at Wesleyan. 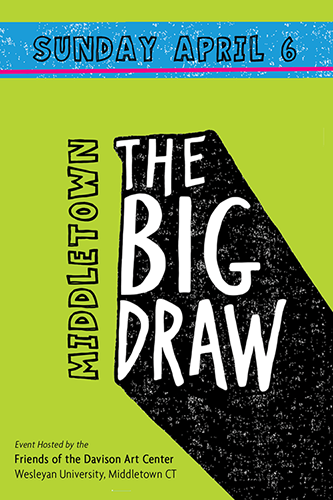 The organized hosted their third annual Big Draw community event that celebrates drawing and brings 200 participants to campus. Samari Studios designed all of the promotional pieces for the event including postcard flyers and posters.